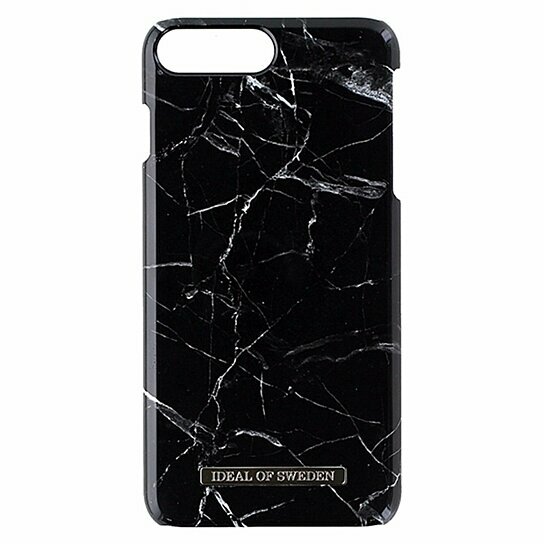 iDeal of Sweden products, Black Marble Hardshell Case made for the Apple iPhone 7 Plus. Glossy Black Marble with White Cracks design. Slim profile, light weight, Suede lined interior, swedish design.